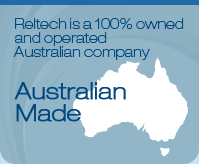 Reltech is a 100% proudly owned and operated Australian company. Reltech is a manufacturer and distributor of high quality equipment for the Pool and Spa Industry. Reltech supplies reputable commercial and residential pool and spa builders, poolshops and service companies throughout Australia. Reltech's parent company, Rella Plastics, has over 30 years of extensive experience in design and manufacturing of consumer and industrial related products. 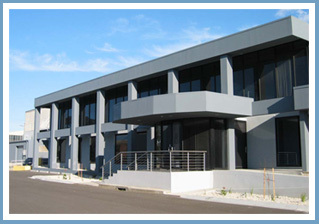 Based in Melbourne, Reltech's manufacturing plant covers approximately 70,000sqft. This is where products, such as, our ECOFLO (V3), PREMIUM (PR), SUNSOL (SS) and AQUA BOOSTER (AB) Series pumps are designed, manufactured, assembled and tested. With previous experience in designing and manufacturing pool and spa pumps for other companies, in 2003/2004, Reltech 's R&D department started developement on their own generation of pool and spa pumps, specifically for the Australian market. 3-4 years in the making, the PREMIUM (PR) and AQUA BOOSTER (AB) Series pumps were born. These pumps proved to be indestructable and gave customers exactly what they were looking for - a high performance pump with low noise levels and a fair price tag! To further build on the success of their flagship PR and AB Series, in 2009 Reltech unvieled its new refined electric motor, which boasts increased performance, energy efficiency, reliability and lower noise levels. In addition to their PR and AB Series pumps, Reltech have also introduced their very reasonably priced SUNSOL (SS) Series pumps (ideal for above ground and solar heating applications) and their state of the art ECOFLO (V3) Variable 3 Speed Pump for the ultimate in energy efficiency. Other products include; filtration media (ecoflo glass) and cartridge filters, salt chlorinators, chemical dosing systems, gas heaters, robotic pool cleaners, pool & spa automation controllers, LED underwater lights, water features, skimmer boxes, maindrains, plumbing supplies, suction outlets and return eyeball fittings, handover accessories, solar blankets and rollers. Please click here to view our product range or click here to contact us.